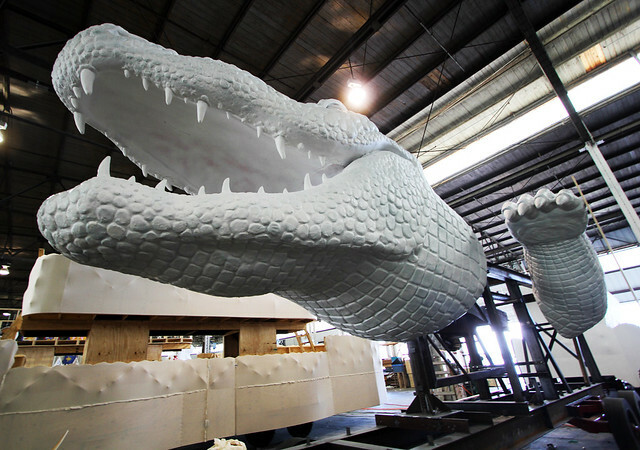 On a recent trip to New Orleans, Louisiana, I spent an afternoon on the east bank of the Mississippi River at Blaine Kern’s Mardi Gras World, the wonderful 400,000-square-foot part-museum, part-working Mardi Gras float-making warehouse. 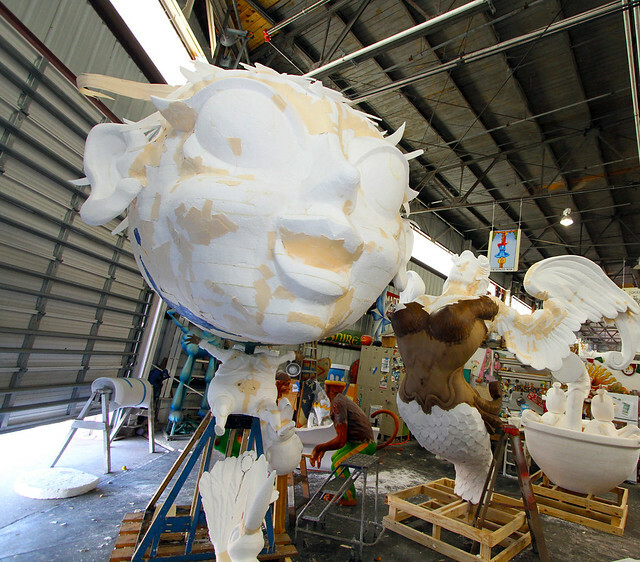 For a $20 admission, I got a great guided tour of the world’s leading float, sculpture and prop manufacturing factory and after, was allowed to stay to view and photograph nearly anything and everything. 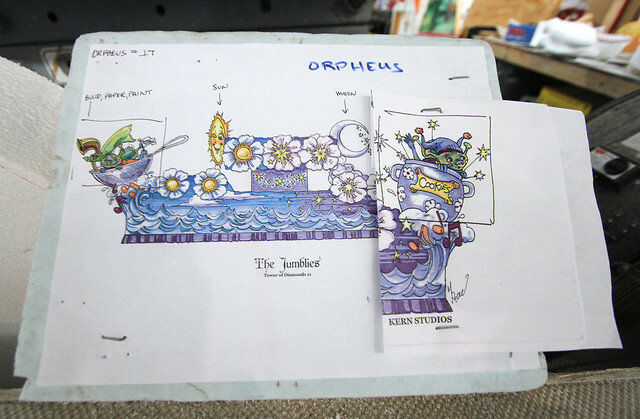 Blaine Kern Studios designs and creates a large majority of floats and props for local New Orleans krewes including Bacchus, Rex, Orpheus, and Muses. 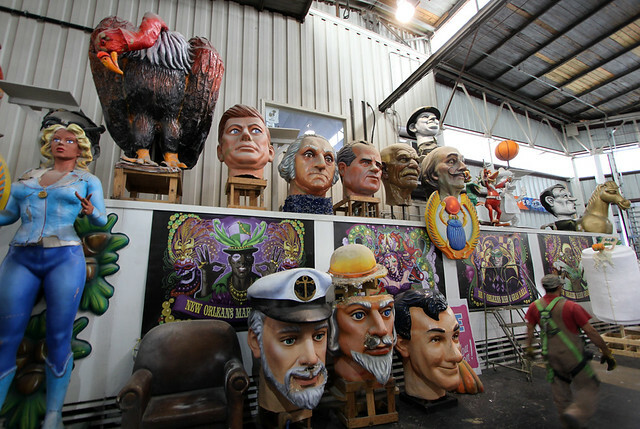 Mississippi-born Blaine Kern, aka “Mister Mardi Gras”, began his career in the float-making business in the 1940s and currently Blaine Kern Studios is operated under the leadership of his son, Barry Kern. 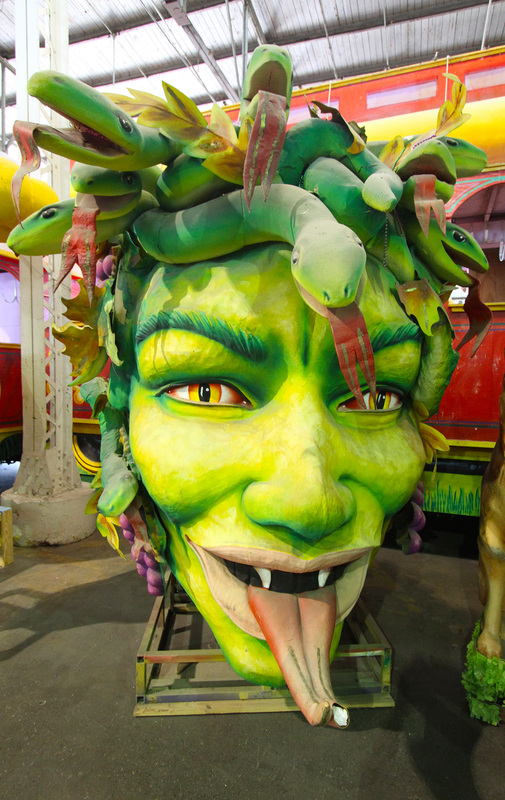 As it is a working warehouse, Blaine Kern’s Mardi Gras World is constantly in change and each visit is a different experience. In 2009, we posted about a visit that Laughing Squid guest blogger Eddie Codel took there and his set of images are quite different from mine. 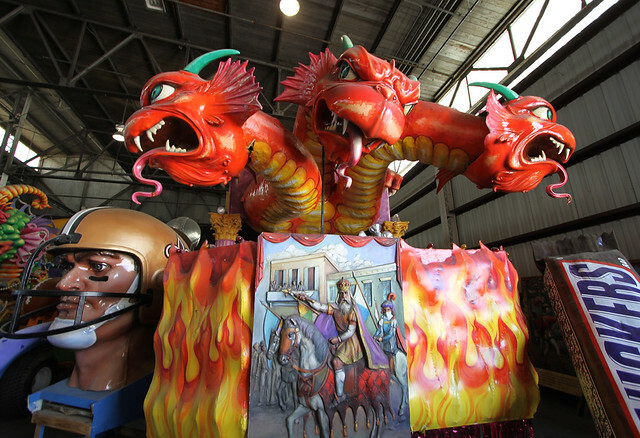 Mardi Gras itself happens on Tuesday February 21 in 2012 but the festival season and parades have already begun in the New Orleans area. 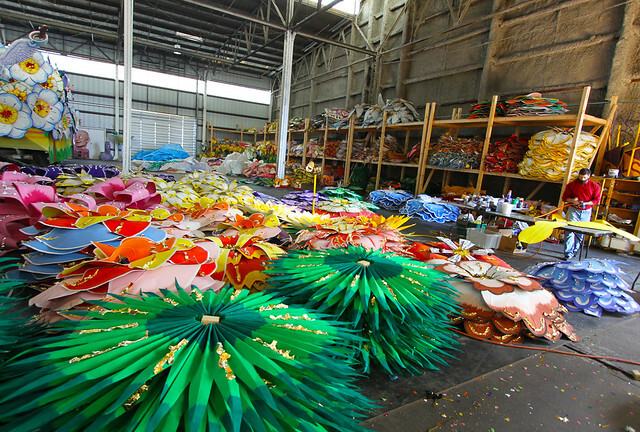 Here is the online image gallery from my tour.